Thinking of bringing a dog into your life for the first time? Being a first time dog owner is a big deal. It’s an exciting process to settle on the breed you feel will work best for you and your family, but it can also be daunting. Of course, there’s the question of which breed best fits your lifestyle. Your ideal dog may be active and focused on the outdoors, a comfort-focused lap dog or somewhere in between. But there are other factors to weigh into the big decision—temperament toward other pets and health challenges, to name but two. If you’re currently dealing with this dire doggy dilemma, then this guide is for you. 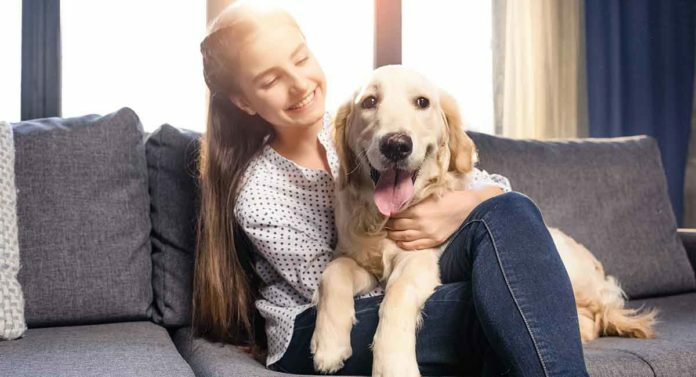 We’ll give you a rundown of five of the best dogs for first time owners, looking at their temperament, their ideal home environment and health issues you should be aware of. Let’s get the ball rolling with one of the best small dogs for first time owners. The Yorkshire terrier (affectionately known as the “Yorkie”) was first recognized as a distinct breed in England in the mid-1800s. Bred to help farmers deal with rats, these indomitable little dogs were renowned for their fearlessness, enthusiasm and an all-conquering self-confidence. They quickly found their way from the barn to the living room, becoming much-loved family pets. Today they’re one of the most sought-after breeds in the world and are ranked 9th most popular dog by the AKC. If you’re looking for a small dog with a personality that can fill a room, the Yorkie is definitely going to fit the bill. These diminutive dogs have the mellow confidence to live happily alongside cats and will eagerly strut their stuff with larger dogs when the opportunity presents itself. They’re moderate energy dogs and basic exercise (daily 15-minute walks and play) will keep them happy and settled. 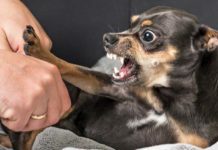 If you have young kids, you’ll need to pay close attention early on to socializing your Yorkie to play nice. It’s also a good idea to make sure they get plenty of exposure to visitors early in life. Yorkies are great for first time dog owners, especially for families seeking an adaptable, loyal and endlessly entertaining home dog, brimming with the confidence of an extroverted rhinoceros. The Yorkie is often a healthy dog with only a few health concerns of note. Tracheal collapse (a breathing condition) and progressive retinal atrophy (a degenerative condition affecting eyesight) are conditions to look out for. On the muscular skeletal front, it’s also worth checking on luxating patella (a congenital condition affecting the kneecap) and Legg-Calve-Perthes (a rare, degenerative hip condition). Checking with breeders on the health of the puppy’s parents and regular check-ups with the vet are advised. You’ll also need to bear in mind that his small bones are delicate, and keep him safe from overly-boisterous encounters with bigger dogs. No list of best dogs for first time owners would be complete without the kind-hearted Lab. The Labrador Retriever was the hunting dog of choice of the English aristocracy in the early 1900s. Bred to be intelligent, neither aggressive nor shy and robust enough to handle tough conditions, the Lab made the perfect hunting dog. 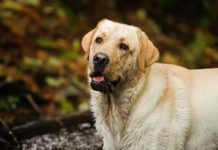 Labs were bred to form close and enduring relationships with their owner, and that trait remains one of their strongest characteristics to this day. 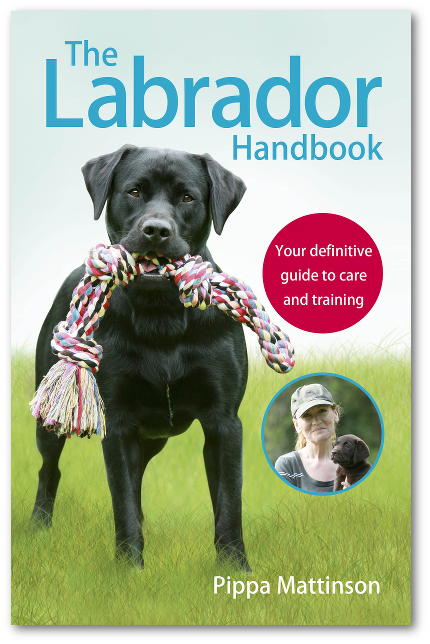 The Labrador Retriever is especially suited to active families seeking a medium- to large-sized dog. The Lab possesses several great traits that make her an excellent choice for first time owners. Firstly, Labrador Retrievers are prodigiously smart. In fact they’re ranked as the seventh most intelligent dog breed. Coupled with their natural “team-player” demeanor, Labs are typically very easy to train. They’re also great with kids, and owners are unlikely to have much trouble socializing them to get on well with other pets. They’re particularly good at forming friendships with cats, showing a healthy respect for their sharp-clawed and cantankerous cousins. Labradors can be excitable, especially as puppies. While they will require a solid level of exercise to keep them happy, they’re generally thought of as being energetic dogs, but not overwhelmingly so. You will need to watch a Labrador Retriever’s weight. They have a tendency to overeat, and this can cause obesity and other complications later in life. Hip and elbow dysplasia are your most important health screening priorities. It’s important to check with breeders to confirm that the puppy’s parents are free of these conditions. Progressive retinal atrophy is another lab health concern which can easily be tested for. Ear infections are also a relatively common ailment to be mindful of. For more information on Labrador Retriever health concerns, click here. The Bichon Frise found its way to France sometime in the 14th century, when French soldiers brought these diminutive, fluffy dogs home from The Canary Islands. Equally at home as a traveling pet for sailors or as lapdogs for French nobility, these undeniably cute dogs found an enduring niche as versatile and affable human companions. One of the best dogs for first time owners, the Bichon Frise possesses a unique lineup of traits and are actually quite unusual dogs. They have a mischievously hedonistic streak, which makes them almost seem catlike. However, they’re also intensely loyal and are all about family. The result is a cheerful little fluff ball who brings fun to any room. Bichon Frise has a long heritage as a traveling dog. They adore seeing the world, making them a great fit for individuals or families who are frequently on the road. These loving little dogs do form very close attachments with their owners and can experience separation anxiety if left alone for too long. They’re at their happiest when they’re in the thick of family events. To avoid skin and fur problems, you’ll need to keep a Bichon Frise well groomed. Three times a week is generally advised, although you can keep their fur short, significantly reducing upkeep. 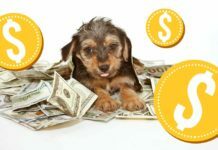 Patellar luxation and hip dysplasia are potential health issues to screen for, and you should check that the puppy’s parents have a clean bill of joint health. Juvenile cataracts may occur in this breed and should be screened for at an early age. The Labradoodle is a designer breed, meaning it’s a cross from two purebreds (a Labrador Retriever and a Poodle). This breed is very young as far as breeds go. Created in the late 1980s, the Labradoodle was bred to be an intelligent service dog that had the added benefit of being more hypoallergenic than its Labrador parent. While it’s important to note that designer breeds are more varied in temperament than purebred dogs, Labradoodles typically possess the resolute friendliness of a Labrador with the stable, even-tempered intelligence of a poodle. This is a breed that would be ideal for a family who loves being outdoors. Labradoodles love to run and are happiest when you can keep them actively challenged. Labradoodles are also generally considered easygoing dogs that get along well with small children and other pets. However, since their rise to popularity, the possibility of them (or any other dog) being hypoallergenic has been discredited by science. To learn more about designer breed health challenges generally, this is a good resource. You should ensure that you only work with reputable breeders when searching for your Labradoodle puppy. 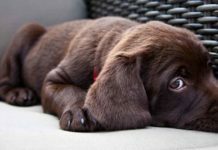 Generally healthy dogs, you’ll nevertheless want to check with the breeder for hip and elbow dysplasia as well as pattelar luxation in the puppy’s parents. Most people know that the Whippet was bred from the English Greyhound. However, fewer know that the Whippet was bred to have a different set of traits to its larger hunting parent breed. The Whippet, like the Greyhound, made its name as a renowned hunter, capable of chasing down rabbits, hares and other small animals with ease. However, the Whippet was also bred to be a friendly, easygoing family dog. These traits are very evident today in this breed’s temperament. Out of the best dogs for first time owners, the Whippet definitely stands out as the athlete of the pack. The Whippet is a quiet, extremely loyal dog who develops a strong bond with its family. Most Whippets develop a particularly powerful bond with one human, whom it considers to be its primary owner and attachment. The Whippet is a fantastic dog for families who want an all-rounder dog with a strongly athletic streak. These dogs are fast, tireless and amazing to watch in full flight. However, they’re just as comfortable curled up on the couch with their heads in their owners’ laps. Whippets are not a good choice for homes with cats or other small pets. Their prey drive is very strong, and it’s almost impossible to condition a Whippet not to pursue that chasing instinct. Whippets can develop von Willebrand’s disease, a congenital blood disorder, which disrupts the clotting process. They’re also susceptible to eye diseases, so ask breeders to present eye certificates for both parents. Buying a dog for the first time is exciting, but it can be daunting. These best dogs for first time owners are a great place to start your search. 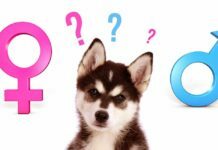 As always, the best approach in finding your perfect companion is to take your time, do your research and spend time getting to know the breeders. What breed was your first dog? Would your recommend them to a fellow newbie? Please share your first dog stories in the comments box! 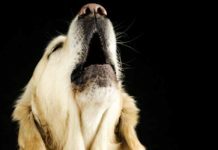 Buback, J.L., Boothe, H.W., and Hobson, H.P., 1996, “Surgical Treatment of Tracheal Collapse in Dogs,” Journal of the American Veterinary Medical Association. Clark, R.D., 2014, Medical, Genetic & Behavioral Risk Factors of Bichon Frises. Dona, D., et al., 2016, “Lateral Patellar Luxation in Nine Small Breed Dogs,” Open Veterinary Journal. Farrell, L.L., et al., 2015, “The Challenges of Pedigree Dog Health: Approaches to Combating Inherited Disease,” Canine Genetics and Epidemiology. Kirk, N et al., 2003, “Cataracts in the Bichon Frise,” Veterinary Ophthalmology. Robinson, R., 1992, “Legg‐Calve‐Perthes Disease in Dogs: Genetic Aetiology,” Journal of Small Animal Practice. Previous articleBest Guard Dogs: Which Vigilant Pup Will Protect Your Property?